FRIENDS and family of the late Jake Kedzlie have paid tribute to the teenager by staging a paddle-out on Sawtell Beach this morning. Forming a circle in the water in his memory, friends and family shared one of the 15-year-old's great loves, an early morning surf on sunrise. 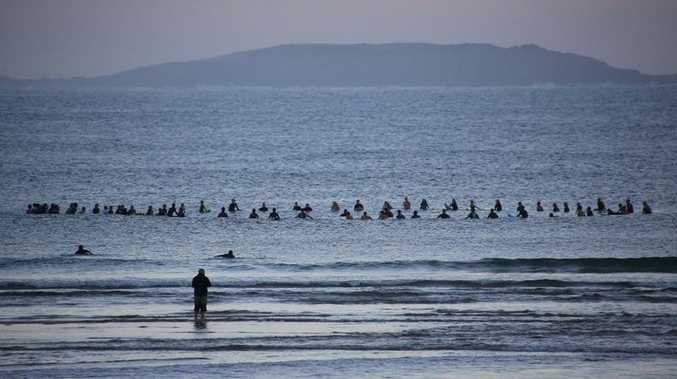 Up to 200 surfers took to the water to remember their mate. 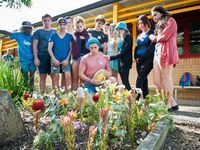 The paddle-out followed yesterday's funeral at Rex Hardaker Oval where around 500 people celebrated the life of former Origin great Tommy Raudonikis' grandson, who died after suffering a head injury during a junior rugby league match. Speaking of the family's great loss, Jake's father Jy said his son's legacy would live on in his siblings. "It was an honour and a privilege to have a son like you," Mr Kedzlie said. Following the funeral, the Sawtell Panther's club unveiled a new scoreboard in Jake's honour. "A fitting tribute for a man who put a lot of points up there," club president Col Adams said. A mural of Jake has also been painted at the ground. 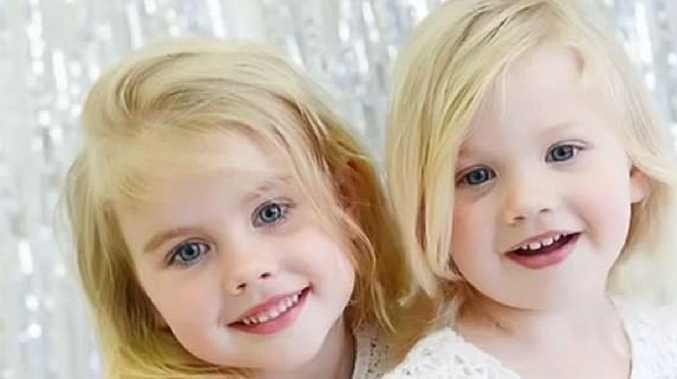 Fundraising continues in aid of the Kedzlie family.